By 2000, Indians became the third-largest population of foreign-born residents in America, many of whom settled near Murray Hill, a district which lies between East 34th Street and 42nd Street, through Madison Avenue and East River. The area is named after the mercantile Murray family who, in the mid-1700s, migrated to New York from North Carolina and briefly, Pennsylvania. Since then, the area has experienced many cultural transitions. Walking through the neighborhood today, you would find it hard to believe that a few decades ago, Curry Hill went by a different nickname: Little Armenia. Armen Marsoobian, now a philosophy professor at Southern Connecticut State University, recalls there existing at least three Armenian restaurants in the area, one he remembers was Balkan. 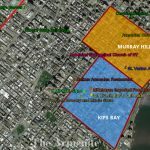 “We would pass them as we walked from the subway station on Park Avenue and East 28th Street to the [Armenian St. Illuminator’s Apostolic Cathedral] church,” he says. 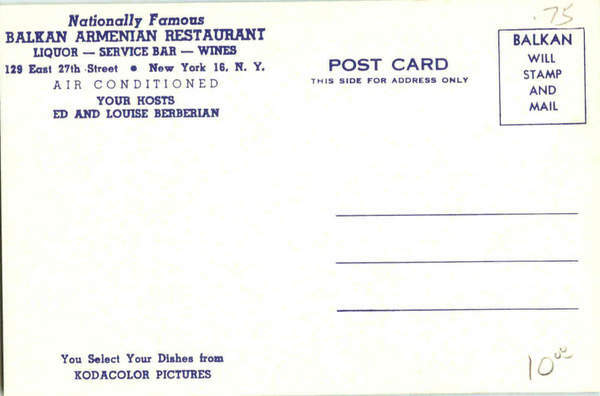 While Balkan and the other restaurants Marsoobian remembers no longer exist, at one time, they were quite popular. Armenians began to arrive in the state by the mid-19th century. Many of those who came were educated, paving careers in business and medicine. Shortly after the 1894-1896 massacres of Armenians by Sultan Abdul Hamid II in Ottoman Turkey, Armenian immigration to the United States increased. According to the U.S. Bureau of Immigration figures, from 1899 to 1931, 81,729 Armenian immigrants entered the U.S.
From the Hamidian massacres to the years after the Armenian Genocide, there was a stream of Armenian immigration to the United States. As with many immigrants during those years, the first glimpse of their refuge was Ellis Island. Exact numbers from the influx are difficult to determine. According to the U.S. Bureau of Immigration figures, from 1899 to 1931, 81,729 Armenian immigrants entered the U.S.; seventy percent of whom entered through Ellis Island at the Port of New York. Because many families became separated during the death marches, those who found their way to America often “consisted of single individuals, orphans, and chance groupings of individuals who banded together for security and mutual support,” according to an article titled Armenians in America written by Dennis Papazian, professor emeritus from the University of Michigan at Dearborn. In many ways, America became a meeting place for those who had lost track of one another. 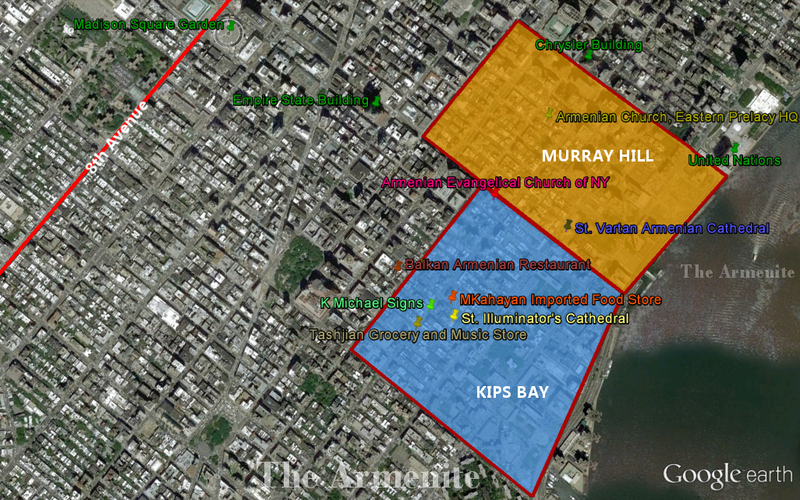 The frayed community settled in a part of lower Manhattan that came to be known as Little Armenia. Arpine Dod, 77, grew up in the Bronx and then Queens, but she frequented Little Armenia regularly as a child. Being newcomers to the state, there was a sense of otherness that many felt. The community became an extended family. 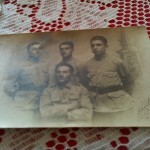 Dod’s father, Michael Kahayan, and his family emigrated to the US from Iran in 1921. Kahayan was an intellectual and he was business-savvy. He also had an artistic touch and decided to set up a shop on East 27th Street and 3rd Avenue called K Michael Signs. He later also took over his brother’s business which he called MKahayan Imported Food Store, once located on 211 East 28th Street. Kahayan imported spices from various countries, including Egypt, Syria and India. Today easily found in one of New York’s myriad of ethnic food stores, he sold items that were then rare like turmeric, tamarind, and Za’atar. 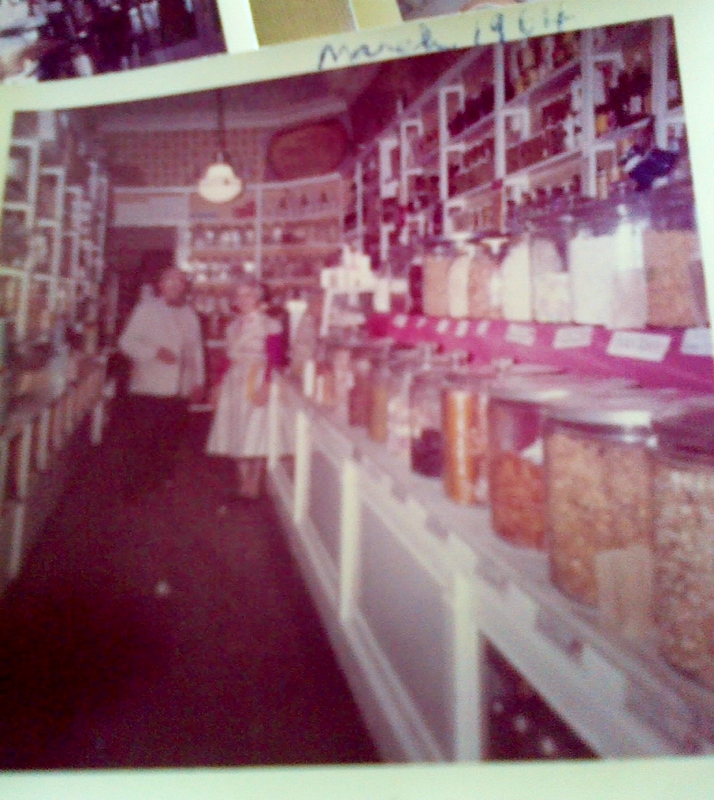 “All the spices were kept in glass jars and sold by the ounce or pound,” his daughter recalls. The store became popular. “He was very personable, spoke five languages and was able to communicate with just about anyone.” Dod’s mother, Zabel Donigian Kahayan, would make Armenian coffee for clients, further adding to the store’s charm. 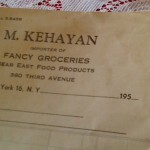 While Kahayan’s store supplied gourmet-style foods, like beluga caviar, grocery stores like Anooshian and, later, Kalustyan, offered Armenian items like stuffed grape leaves and more. Among the few remnants of the once thriving Armenian presence in Murray Hill are its churches; there are three located within the same vicinity. The oldest Armenian church in New York, Saint Illuminator’s Apostolic Cathedral was founded in 1915 and many of its original parishioners were genocide survivors. Marsoobian’s father began attending the church when he first emigrated from Syria shortly after the Genocide. Growing up, it soon became Marsoobian’s tradition as well. “We went there from when I was a little child until I went away to college. I still on rare occasions visit it for hokehankists (memorial services) for members of the family,” says Marsoobian. Kirk Douglas would come to the store and ask my mother how to make certain recipes. She had no idea who he was! A third church in Murray Hill, the St. Vartan Armenian Cathedral, on 2nd Avenue and East 34th Street, was developed in 1968. By this time, however, many Armenians had already moved out of the neighborhood for greater comfort. Many moved to the suburbs of the Tristate area (New York, New Jersey, and Connecticut). The churches would offer youth programs which many children from the community took part in. Avedis Alashaian, 80, lived in Murray Hill until the age of thirty. His father owned a dry-cleaning store on East 28th Street and Lexington Avenue. Much of what he learned about his roots was through the church programs; he attended Armenian school three days a week. Alashaian gladly learned Armenian folk songs and dances. “Our ancestors brought their culture with them from Armenia, I was able to learn it and now my three children can participate in it as well,” he says. Renowned oud player Ara Dinkjian, too, remembers this store well. “Tashjian’s grocery and music store was my main source for 78rpm records 50 years ago.” He adds, “Most Armenians had a collection of these Armenian or Turkish records, which were recorded both here and abroad.” Dinkjian now has over 5,000 records in his collection, which have become an invaluable source of information for him. Alashaian spent his summers going swimming with his friends, or attending picnics and barbecues. 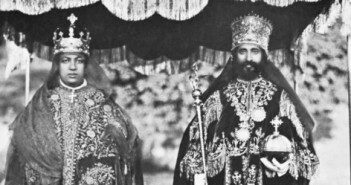 Many social events also revolved around music as their church would hold concerts and dances. It was through these gatherings that Alashaian became good friends with the renowned musician George Mgrdichian. Originally from Philadelphia, Mgrdichian also lived in New York for some time. “He was well liked by everyone,” recalls Alashaian. 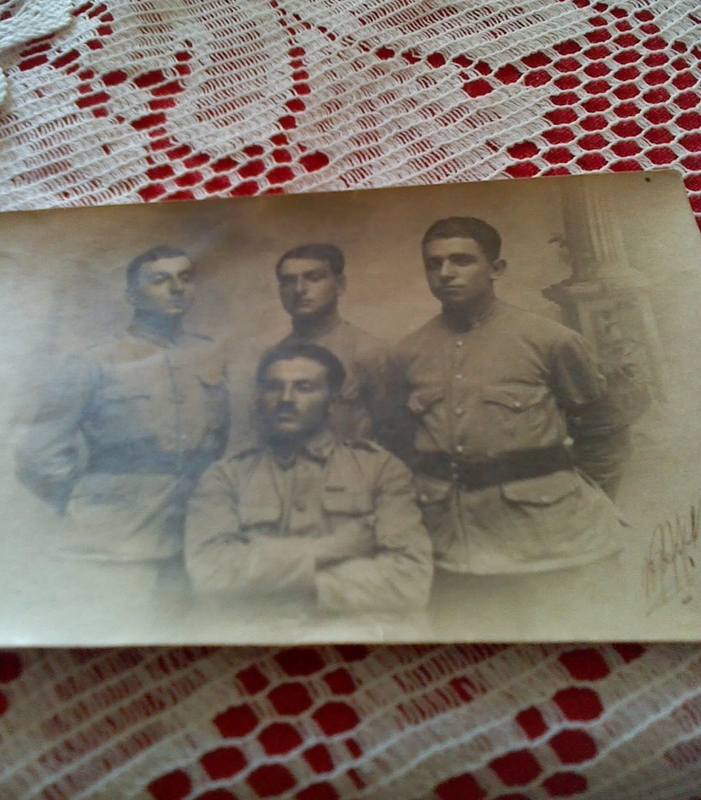 Mgrdichian used to play the clarinet in their Armenian band, Gomidas, but when their oud player was drafted into military service, Mgrdichian had to step in. He taught himself how to play the oud. “I remember he’d be in his basement practicing the new instrument all day and night,” says Alashaian. In 1933, after Archbishop Leon Tourian was assassinated by a group of Armenians, the community was on the verge of a serious rift. Alashaian believes it was music that gradually helped bring the community back together again. Going from neophyte to self-taught oud virtuoso, Mgrdichian gained a following that came to watch him play at New York’s storied Webster Hall. “The events were getting larger and larger,” says Alashaian. “And it was bringing the entire community together.” Mgrdichian began releasing albums and introduced the oud to American audiences. Another famous musician on the New York scene, Onnik Dinkjian, got his start in music through church gatherings. “I absolutely fell in love with the music,” he said. “This is what brought me into the Armenian Church, not necessarily as a religious person but as a lover of the Armenian music,” he told the Armenian Weekly. His son Ara Dinkjian’s passion for music developed in a similar environment, at New York’s St. Illuminator’s Cathedral. “It is where we had weekly rehearsals for the Kousan Chorus,” the younger Dinkjian, now in his 50s, says of the chorus which both his parents belonged to. Because Dinkjian grew up attending all of his parents’ rehearsals, “I unintentionally learned the vast repertoire of Armenian classical, folk, and popular music,” he says. It is this music which continues to be the foundation of his musical personality today. Armenian music was also bringing differing communities together. The album, “Armenians on 8th Avenue” for instance, contains traditional Armenian, Turkish and Greek songs sung by Armenian-Americans in the mid-1900s, which were recorded in night clubs and Greek-owned cafes on 8th and 9th Avenue. 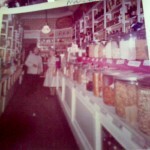 When Dod’s father became ill, he sold his store to a shopkeeper. It was later converted into a Japanese restaurant and then, an American bistro. 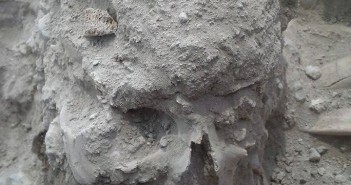 Twenty-five years later, Dod and her husband paid a visit to the property. “It was nice to go back but the attachment I once felt was gone,” she admits. The Armenian shoe repair shop next door to them had become an Italian restaurant. And her favorite Greek bakery across the street from their shop was no longer there either. Alashaian and his family now live in New Jersey. 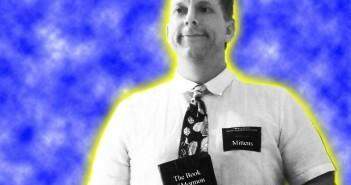 There is a church just ten minutes away from him, yet he still makes the trek to Murray Hill to visit his childhood church on East 27th Street. “My heart belongs in Manhattan,” he says. Dod has embraced the changes that “Little Armenia” has experienced. She still visits Kalustyan’s specialty food store, one of the few formerly Armenian-owned businesses remaining that bears its original name, to buy her spices. Though the business has changed hands, there is a deli upstairs where a Kalustyan family member remains busy at work. Dear Armenians I am coming to spend summer in New York. I am in summer holdiday period. Can you host me somwhere please although for a few days? Please let me know as soon as possible. I don’t have anyone who can meet me at airoport Kennedy. Hi, It was so nice reading your article. My Mom grew up on 28th st during the time period you remember so well. Her name was Gadad (maybe spelled wrong) Katherine in english. and her last name was Kouyoumdjian. She had so many fond memories of the great 28th st and all her friends. Was looking for great Armenian recipes that my Grandmother would sometimes cook. Sure wish I had the opportunity to learn more about those wonderful traditions. 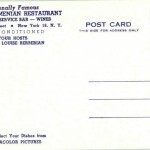 My mother, born in 1921 to Armenian refugees, grew up in little Armenia where my grandfather had a restaurant. They later moved “up” to the Bronx, but grandpa continued to be a chef in the old neighborhood, where my mom has told me William Saroyan dined regularly as a poor young writer – for free, because people helped and supported each other back then. After closing his restaurant because he could not obtain enough meat during WWII he was the head chef at the Balkan Armenian restaurant until shortly before his death in 1958. My mom was a great cook and still made specialties like media dolma, boereg, and sarama, until very recently. While at 96 she can no longer cook, I continue to honor this half of my heritage by preparing these and other special dishes a few times a year – and my 22 year old Armenian-Jewish-Italian son has also learned how to prepare this food. Food helps connect us to our stories and reminds us of who we are. I am from Cyprus and I need your help to find a Armenian Cooking Book by Alice Bezjian. I ordered by Amazon last year and unfortunately I did not received anything. They return the total costs. So today I found some Cypriot Armenian and they asked me to find somebody from USA Armenian Club to Help me.